Compressed Natural Gas is an affordable, cleaner, safe alternative fuel. It is a great alternative to gasoline, and converting your vehicle to CNG can save you loads of money! Click through the pages for more information on how CNG is affordable, cleaner, safe, and American. Then contact us for more information on how to convert your vehicle to CNG today! Compressed Natural Gas is the best alternative to gasoline available! The conversions to compressed natural gas in Arkansas is affordable! Compressed Natural Gas vehicles in Fort Smith, Fayetteville, Rogers, Springdale, Bentonville, Little Rock, Russelville, Conway, Hot Springs, Jonesboro, and Texarkana will not only be affordable for owners, but will provide a safe, clean alternative fuel that is American made. Arkansas compressed natural gas conversions are done at Smith Auto World under the supervision and work of technicians who are certified in CNG conversions. Our technicians have completed training and certifications to install compressed natural gas conversions on vehicles in Arkansas and Oklahoma and beyond! In Arkansas, Compressed Natural Gas is no longer the wave of the future, but it is the fuel of NOW! We are ready to serve customers in Fort Smith, Fayetteville, Rogers, Springdale, Bentonville, Little Rock, Russelville, Conway, Hot Springs, Jonesboro, Texarkana and beyond! 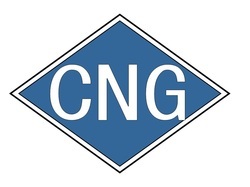 Our Arkansas Compressed Natural Gas (CNG) conversions are done in Fort Smith, Arkansas. We promise we can convert your vehicle to compressed natural gas in Arkansas in a quick and affordable manor. Contact us today for your Arkansas compressed natural gas vehicle conversion!